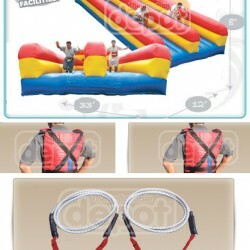 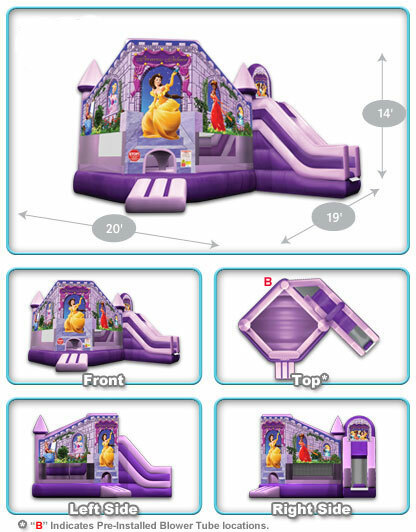 Our Princess Castle theme bounce house has a huge bounce area, a crawl-through, climbing obstacle, and slide! 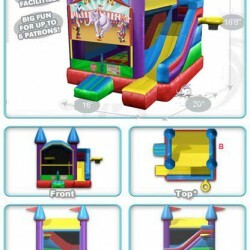 FingerSafe mesh netting comes standard, this princess castle bounce house is made with a unique space-saving design, and at only 285 lbs., a “one-man set up” is a convenient reality! 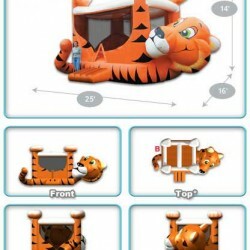 Princess theme inflatable bounce house. 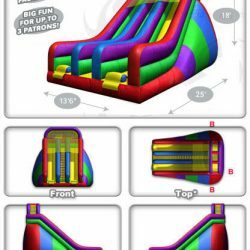 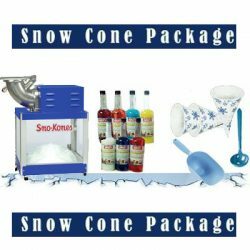 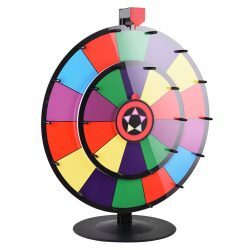 Features: Princess Slide/Club Combo features a bouncing area, amazingly-detailed digital graphics, a crawl-through, and slide area.